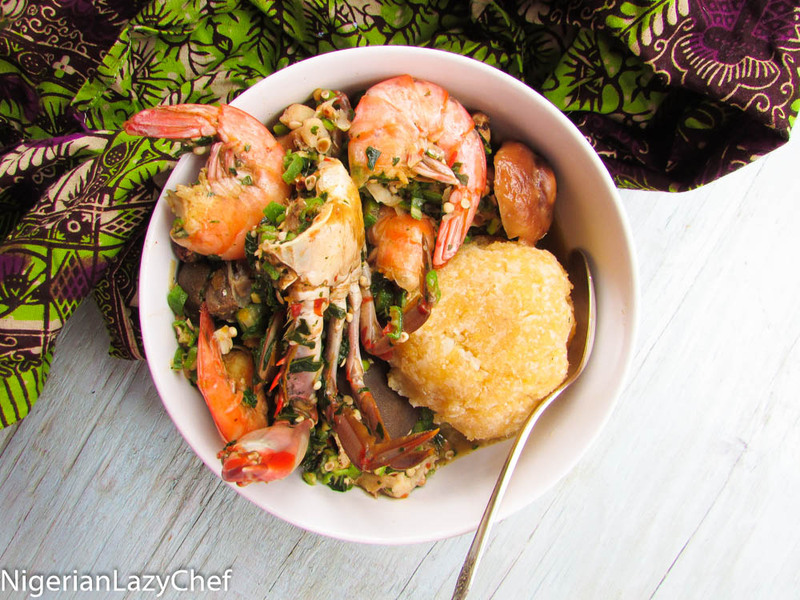 If you have ever had warm okra soup with cold eba on a week day before school, you will enjoy not only the recipe, but the sweet nostalgia of this recipe. It’s no news that my son has some food allergies, but he has also developed a love for okra. Well the rad_economist on Instagram also schooled us on some benefits of okra, so I don’t feel too bad for having a 100th recipe for okra soup. Since being on #lin with 9jafoodie, she has influenced my cooking habits. So cooking this dish was a total breeze. Asandia my friend helped me name the soup. She sent me a message saying “that soup actually had an Efik name. This one is not Otong, it’s Efere Etighi a.ka. white okra soup.” According to her, there are too kinds; the second kind is known as Iwuk Efere which has it’s okra cut into chunks. Isn’t it just amazing how many dishes one can make with a single ingredient? If you had a chef competition with Okra as it’s main ingredient, I will so slay hahahaha! Shuo! Master chef okra gan! 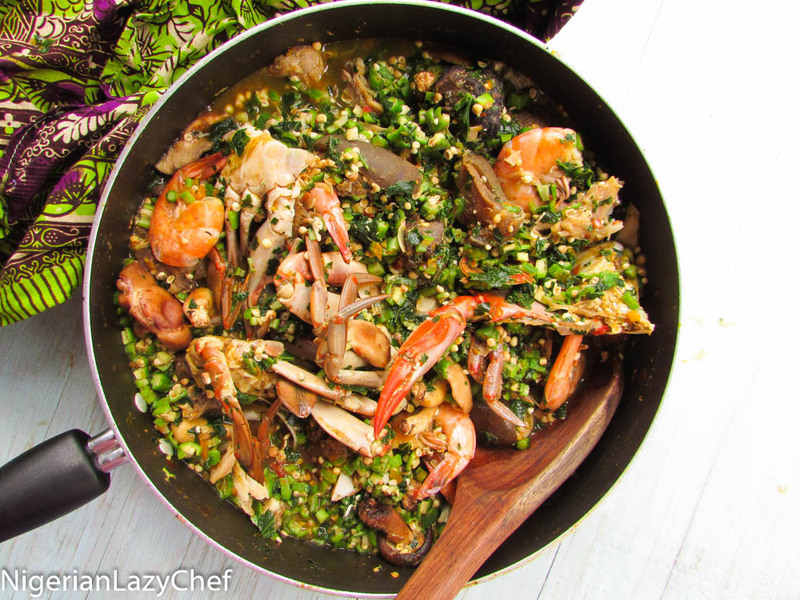 I had mine with cauliflower and garri swallow mix. 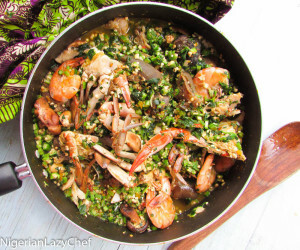 This entry was posted in Eating Healthy, Efik Recipes, gluten free nigerian recipes, Gluten free recipes, Healthy Nigerian, Healthy Nigerian Dishes, Healthy Nigerian recipes, Nigerian sauces, Nigerian soups, Oiless recipes, Okra recipes, Okra soup, Soups, Uncategorized and tagged efere etighi recipe, Ngeran white Okra soup recipe, Nigerian oiless okra soup recipe, oiless okra soup, oiless okra soup recipe, whit okra soup recipe.